The Birds of Prey Harley Quinn Fringe Jacket is now being searched a lot on the internet ever since the teaser came out of the movie. 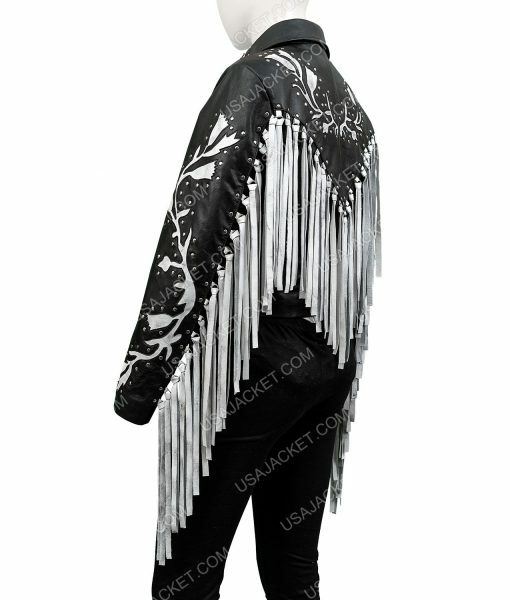 If you have landed on this website then you are about to the very first people to wear the jacket that Margot Robbie wore in Birds of Prey. The Harley Quinn Birds Of Prey Margot Robbie Fringe Black Leather Jacket is made from real leather. This has a black and silver design on the front, back and sleeves. The fringes will make sure that it doesn’t look like an outdated wear. Its style so unique and coloring so attractive, that you can proudly become a trendsetter for the world to follow.